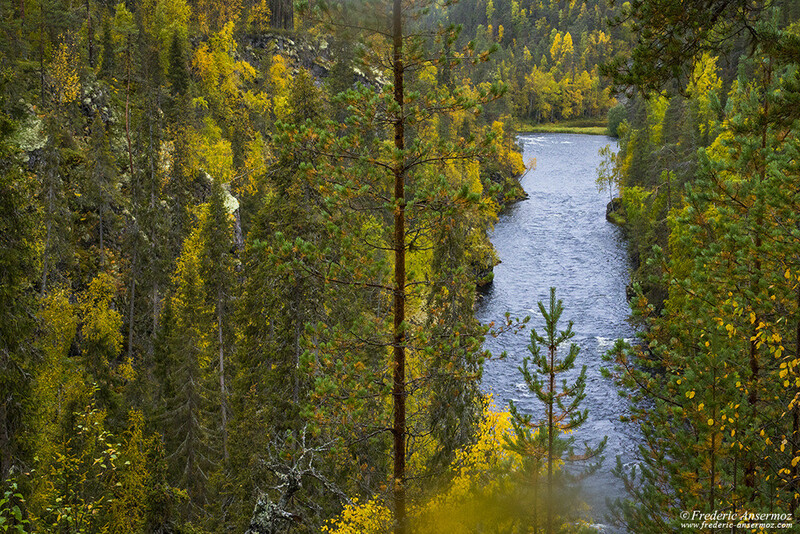 Last day of hiking in Oulanka National Park, Finland, in the area close to Juuma village. 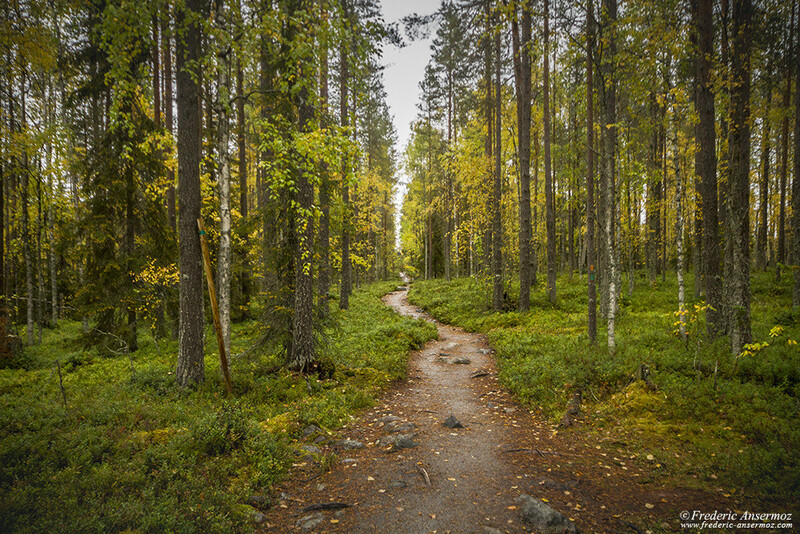 I will discover and hike on the Pieni Karhunkierros Trail, a trail that merges at some point with the Karhunkierros. 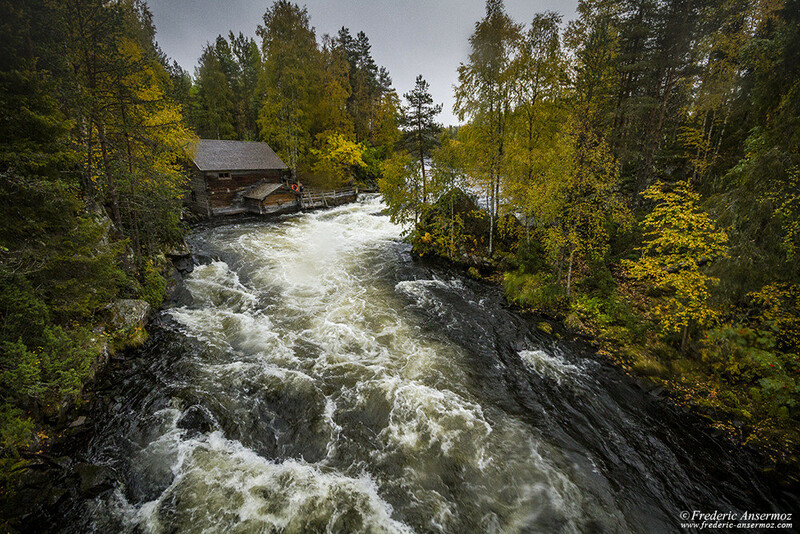 I make my first stop at Myllykoski’s mill with a bridge that crosses the rapids of River Kitkajoki. 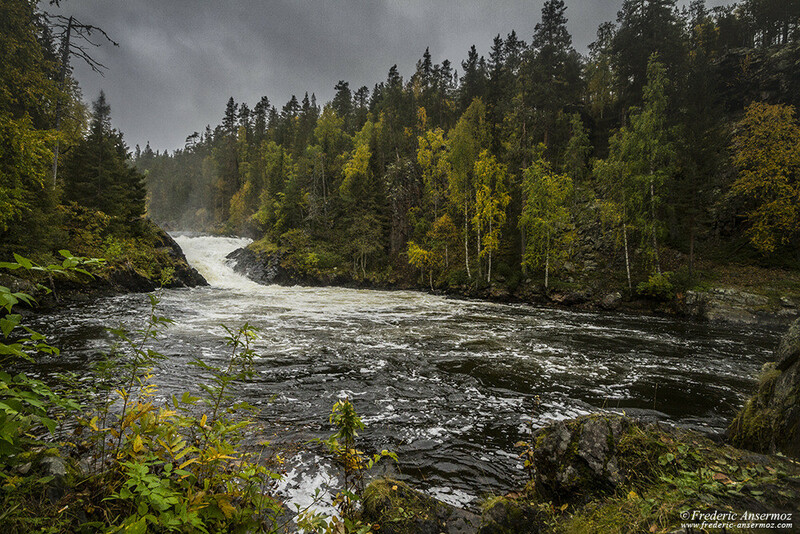 The scenery and the impressive sound of the river, make me, kind of, forget the early morning rain. 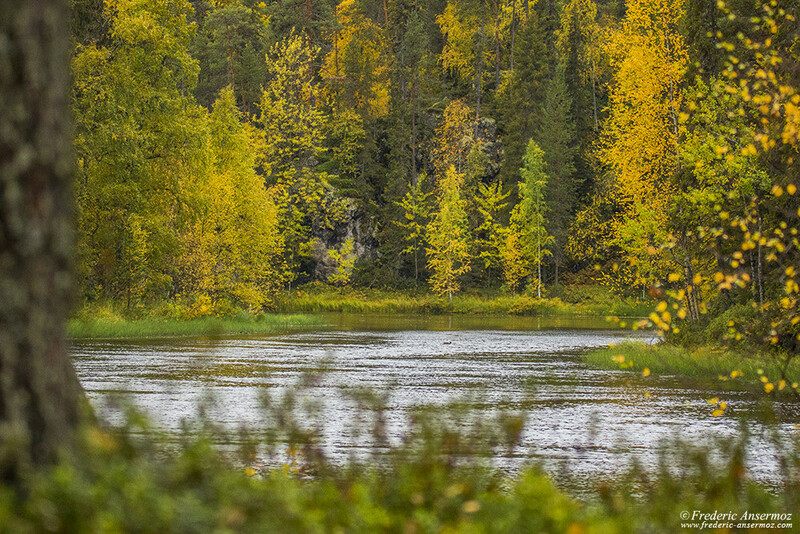 Passing across the Pyröreälampi swampy area, I reach Kallioportti lookout point and admire the view over Oulanka Park and the Finnish nature. 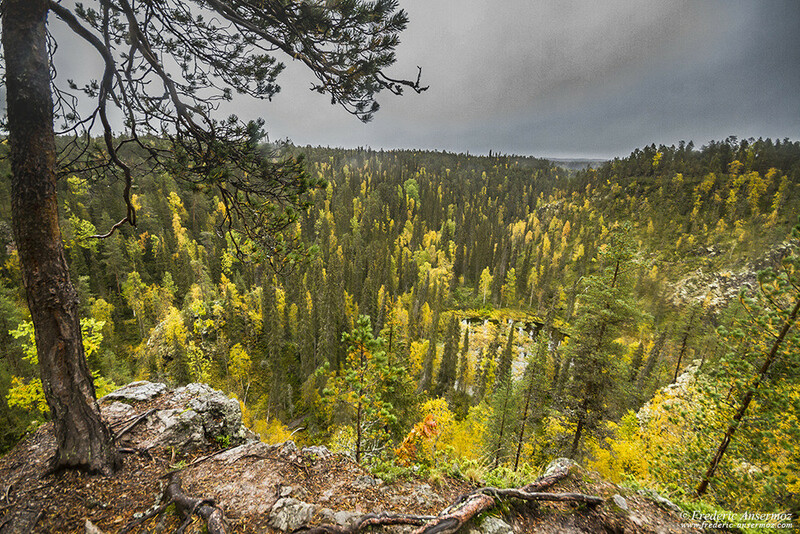 I go down the 252 steps from the view point to be back on the trail, and continue the hike. 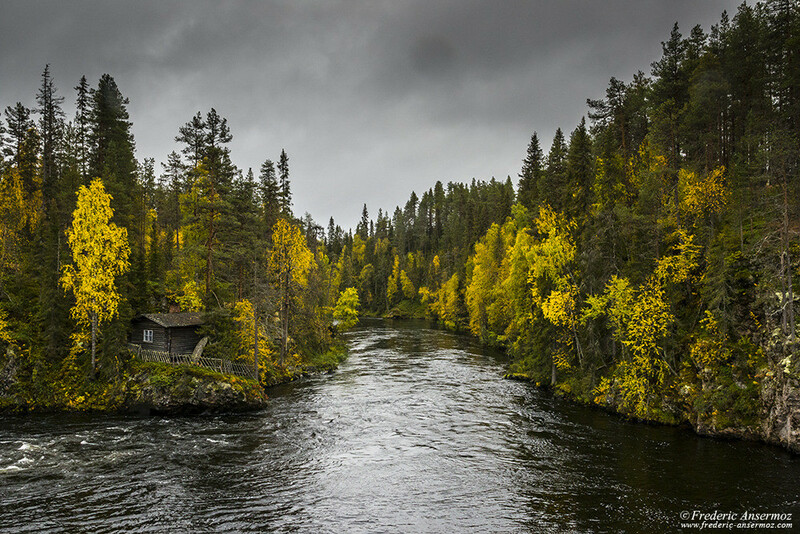 Walking along a little creek, I arrive at the Harrisuvanto lean-to shelter on the bank of River Kitkajoki. 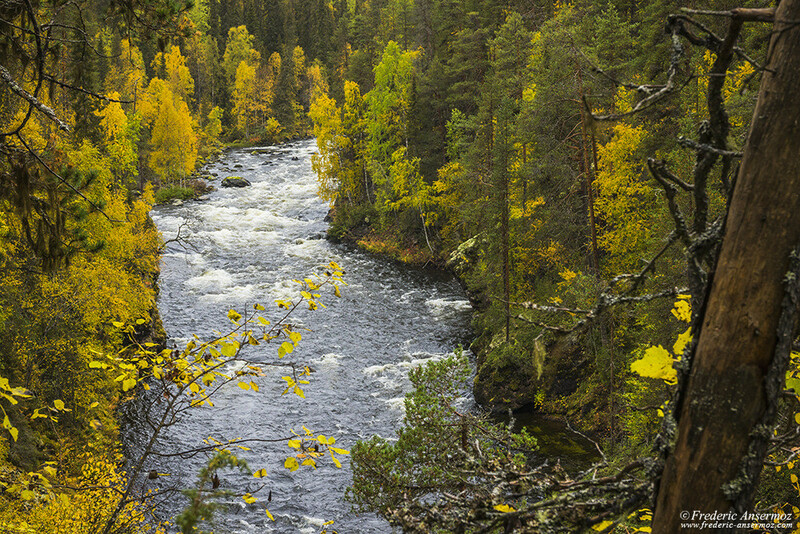 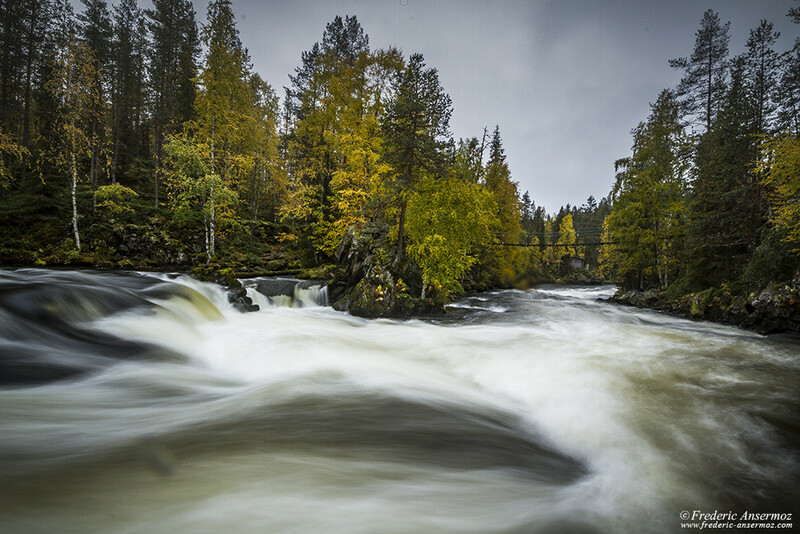 The Fall Season in Finland is really impressive, and hiking in Oulanka along River Kitkajoki, offers a great scenery. 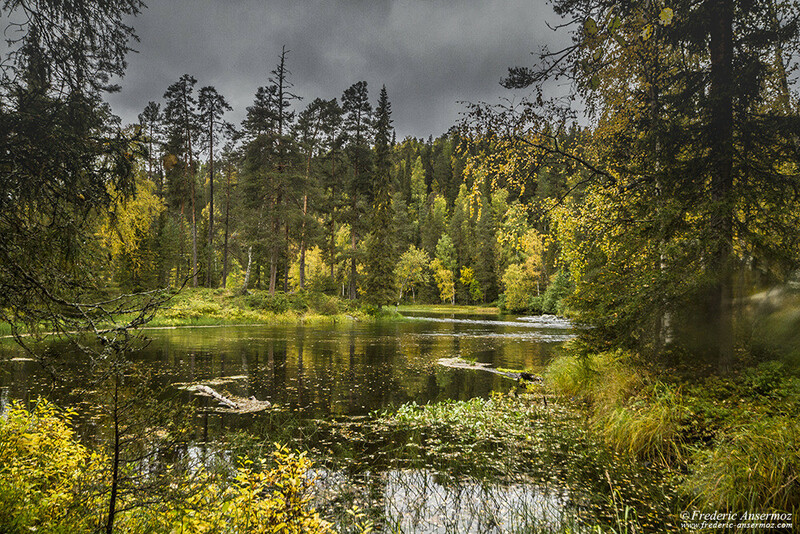 In Autumn, the bright colors contrast with the dark and grey sky during overcast days. 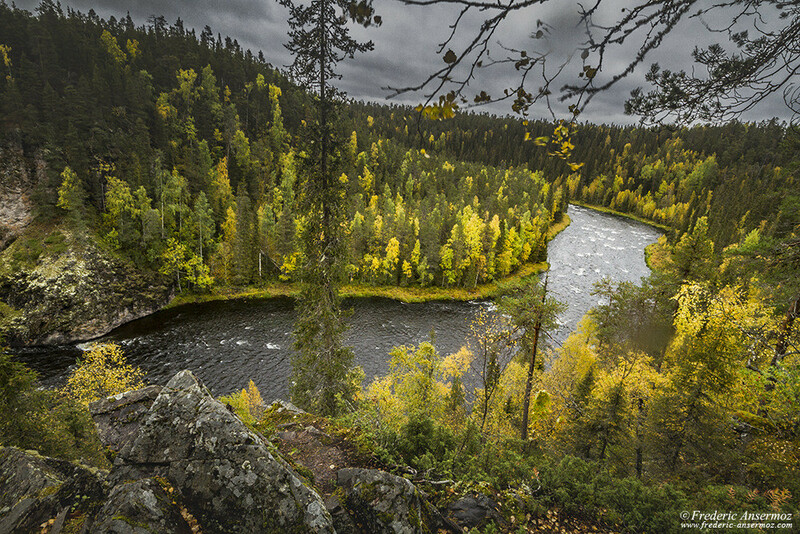 The Pieni Karhunkierros Trail is a 12km loop that circles around the Rajoitusosa protected area (and crosses it a bit), and goes along the River Kitkajoki. 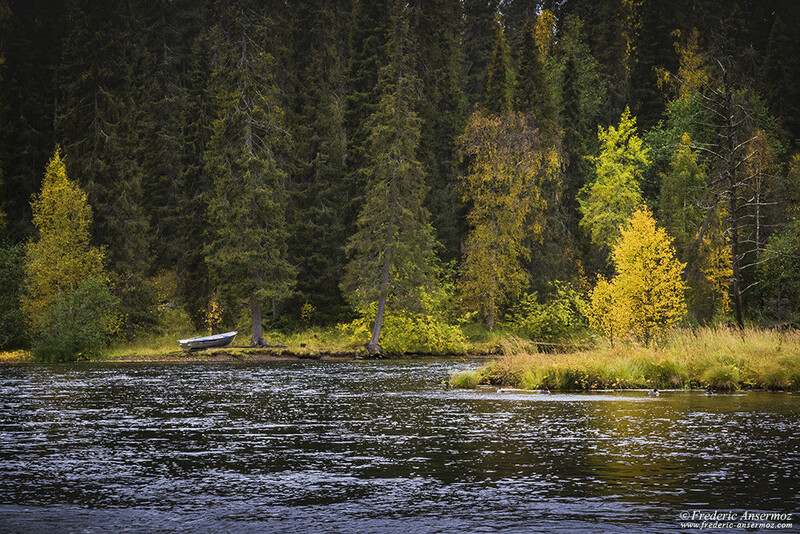 Funnily, Karhunkierros Trail means The Bear’s Ring Trail, and due to my interest in bears, that’s maybe why I spent three days in Oulanka National Park! 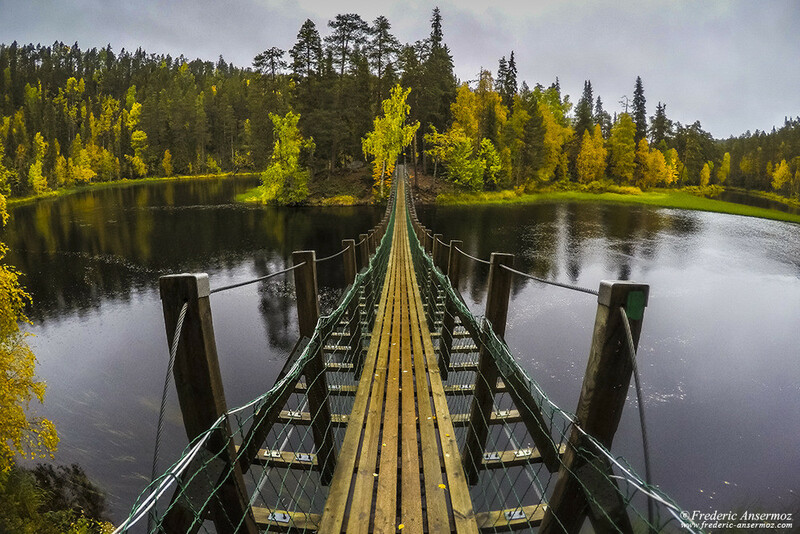 Just kidding, the park is awesome. 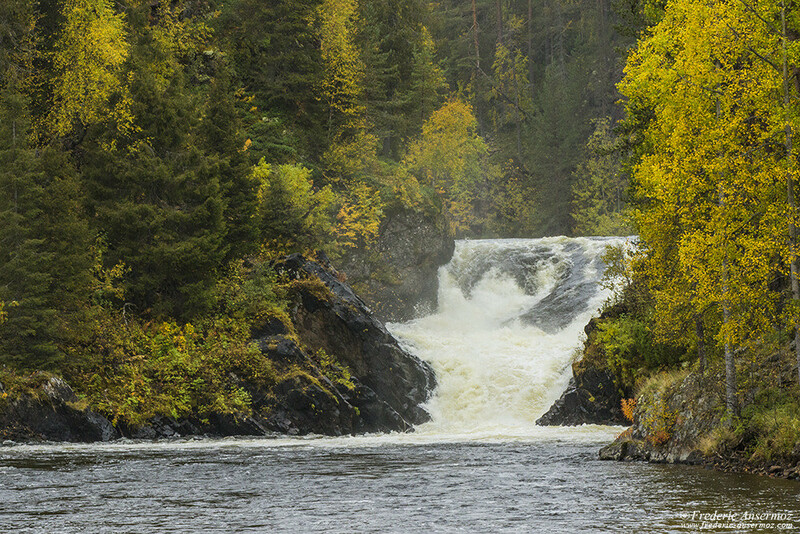 The trail makes me discover the Aallokkokoski rapids and the Jyrävä waterfall, before to reach again Myllykoski. 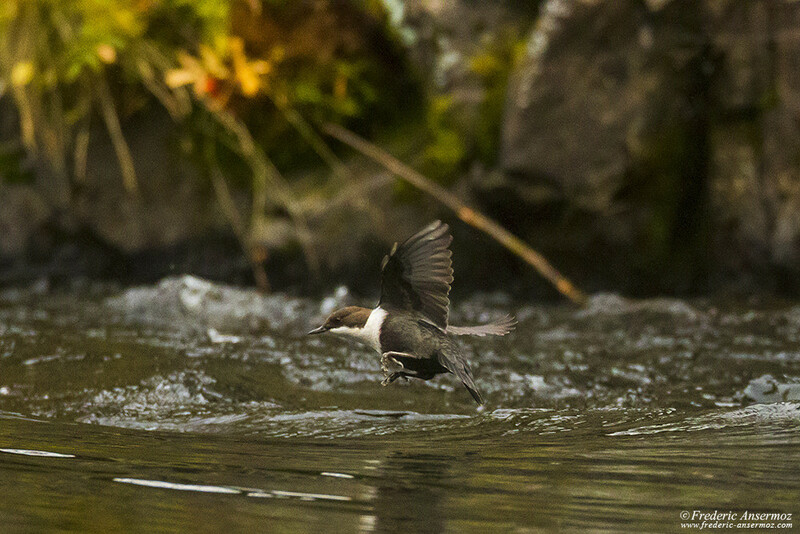 Despite the rains is getting more intense, I spend quite some time playing with my camera to catch a White-throated dipper right before he dives in the river. 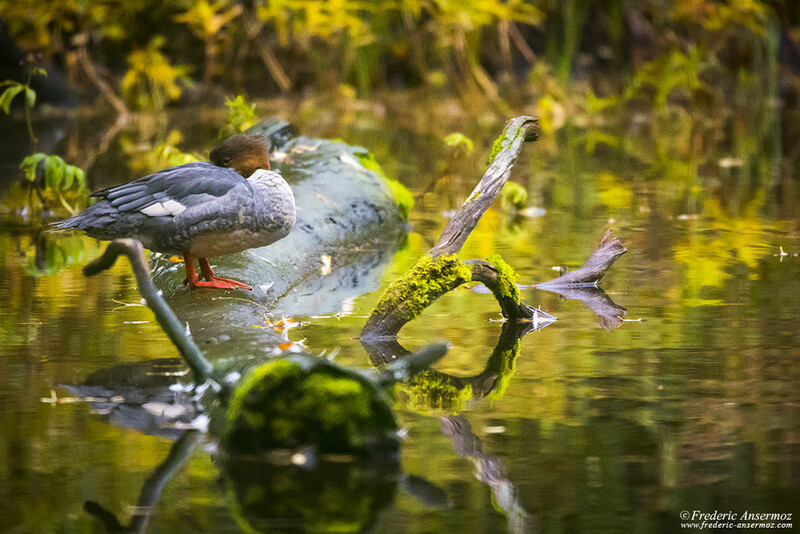 I wasn’t really luck with Wildlife that day, so I took this opportunity! 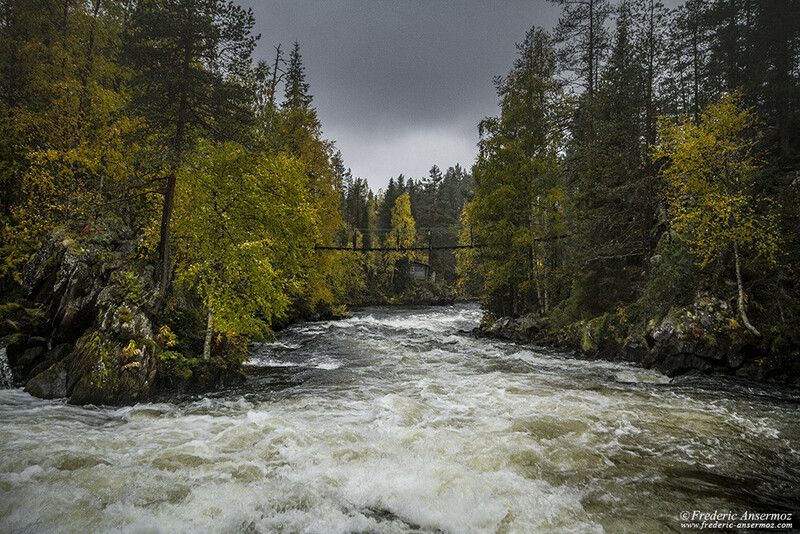 I hope you liked my last set of photos from Oulanka National Park in Finland. 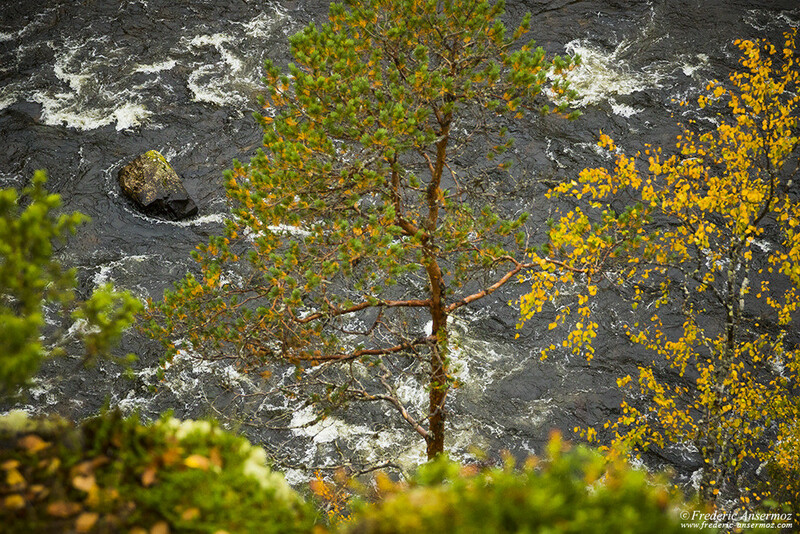 These pictures were taken during my hike on the Karhunkierros, starting at Juuma village and walking along the River Kitkajoki. 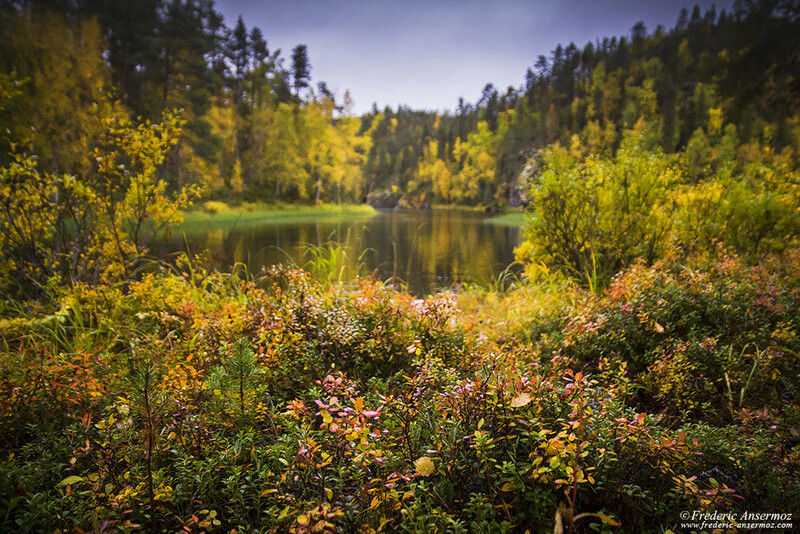 Despite the overcast weather, exploring Oulanka and the finnish Nature during the Fall season is still a rewarding experience! 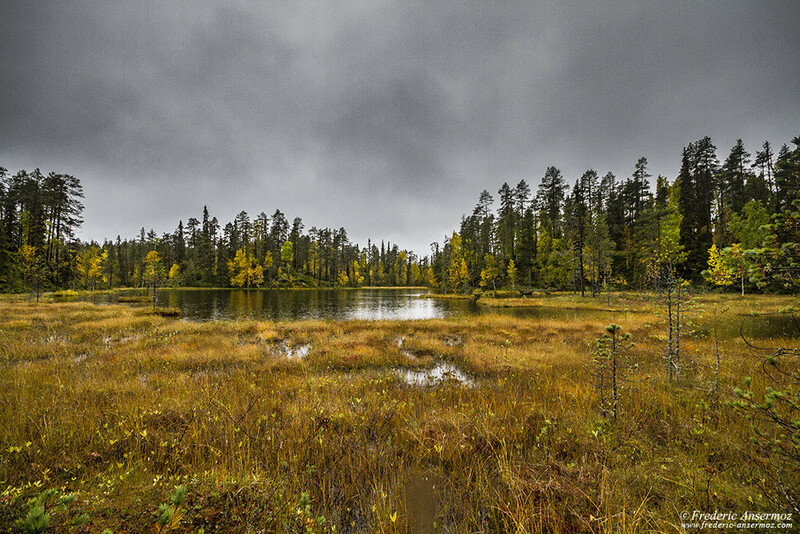 Next stop of my road trip in Finland, will be Hossa National Park, so stay tuned!